The Honourable Steve Bracks, AC was one of Victoria’s longest serving Premiers, serving from October 1999 until his retirement in 2007. 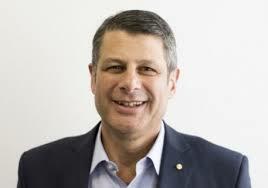 Subsequent to his retirement as Premier of Victoria, The Hon Steve Bracks AC now holds four major honorary positions: as an Adviser to the Prime Minister of Timor-Leste, Xanana Gusmao; as the Chair of Cycling Australia, as Chair of the Melbourne Cricket Ground Trust; and as the Honorary Chair of The Union Education Foundation. He is Chairman of the superannuation fund Cbus, a non-executive Director of Jardine Lloyd Thomson Australia; and, a non-Executive Director of the Bank of Sydney. He was a Senior Adviser to KPMG from 2007 to 2012. He was also a member of the National Australia Bank’s Philanthropic Board from 2008 to 2013. Mr Bracks was also the Independent Chair for the Australian Subscription Television and Radio Association (ASTRA) from 2008 to 2013. During 2008 Mr Bracks was commissioned by the Federal Government to head a major review of the Australian Automotive Industry. He was the Automotive Envoy for the Australian Government 2009-2013. Additionally from 2011 to 2013 he was appointed Member of the Department of Foreign Affairs and Trade Council for Australian-Arab Relations (CAAR). He was also Honorary Chair of the Organising Committee for the World Road Cycling Championships held in Victoria in 2010. Mr Bracks received a Companion of the Order of Australia in 2010 for services to the Parliament and community of Victoria. In 2011 he was presented with the Timor-Leste Solidarity Medal. He has also received Honorary Doctorates from Federation University, Victoria University and Deakin University. He is Patron of the Australia Lebanon Chamber of Commerce and Industry (Vic) Ltd (ALCC); the Conservation Ecology Centre – Cape Otway; the Eureka Democracy Centre, Ballarat; the Hadassah Australia Foundation; the Seaworks Foundation, Williamstown; The Sir Rupert Hamer Records Management Awards; and the Western Melbourne Tourism Board. The Balibó House Trust Board of Directors comprises members from some of the Australian-based families of the five journalists killed at Balibó, on 16th October 1975 and three other Directors. John Milkins is the Environmental Sustainability Coordinator at Banyule City Council. With a passion for community resilience, he leads a team focussing on, integrated water management, climate change, biodiversity and behaviour change education. John is a 2011 Leadership Victoria Williamson Community Leadership Program Alumnus. 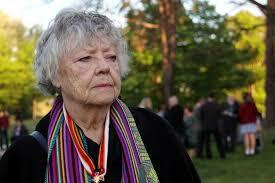 Shirley Shackleton’s journalist husband, Greg was murdered in Balibó on 16th October 1975 with two TV news crews. Their human rights were ignored at every level and when Shirley pleaded justice for the Balibó Five she was dismissed as motivated by revenge and the atrocity was blamed on the victims. ‘I was always good at defending the rights of others, but the propaganda was huge,’ she says. On December 7th 1975 Indonesia invaded East Timor. Shirley switched her advocacy to freedom for East Timor assisted by eyewitnesses who had escaped the violence which was to lead to genocide. A television presenter and lecturer in textiles her life was enriched by amazing characters and escapades represented in her Walkley Award-winning history: The Circle of Silence – A personal testimony before, during and after Balibó. Shirley lives in Melbourne, still advocating for justice for Timor Leste and the Balibó Five. 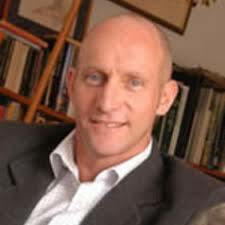 Mr Robert (Rob) Hudson is the founding Chair of Balibó House Trust. Currently the Group General Manager, Programs and Policy at the Brotherhood of St Laurence, Rob was a member of the Victorian Legislative Assembly from 2002 to 2010. During his time in Parliament, Rob was Chair of the Victorian Parliamentary Law Reform Committee, Parliamentary Secretary for Infrastructure, Parliamentary Secretary for Public Transport and the Arts, and Parliamentary Secretary to the Premier. Prior to entering Parliament, Rob was the Executive Director of the Youth Affairs Council of Victoria and the Victorian Council of Social Service. In 1993, he was appointed Senior Advisor then Chief of Staff to the Deputy Prime Minister of Australia. He held this position for three years before becoming the CEO of WorkPlacement. 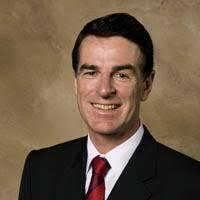 From 1999 to 2002, he held the position of Social Policy Director to the Premier of Victoria. Professor Damien Kingsbury holds a Personal Chair and is Professor in the School of International and Political Studies at Deakin University and is Director of the Centre for Citizenship, Development and Human Rights. He is chair of the MA level subjects Approaches to Political Development and Conflict Resolution and Development, and supervises research Masters and PhD students. His research interests include the politics of South-East Asia, particularly Timor-Leste, Indonesia and Sri Lanka; the role of the military in politics; security and terrorism; post-colonial political structures and nation formation; assertions of self-determination and civil and political rights. He is widely published, having written, edited or co-edited more than two dozen books on these subjects. A highly respected commentator on regional political affairs to domestic and international media, Damien is a regular contributor on Tuesday mornings on ABC774’s Jon Faine program, discussing international affairs. Damien led the Australian NGO observer group to the East Timor presidential and parliamentary elections in 2007, 2012, 2017 and 2018 , following a similar task to the ballot on self-determination in 1999. In 2005, Professor Kingsbury was invited by the Crisis Management Initiative to advise the Free Aceh Movement in the Aceh peace talks being held in Helsinki. He has since advised a number of other regional organisations on methods of negotiating peaceful resolution to conflict. 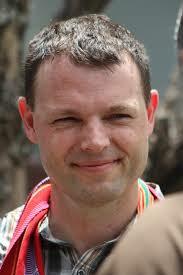 Damien is the Convenor of Friends of Balibó and a member of Friends of Baucau, Timor-Leste. Monica is the Company Director of Bold and Brave Consulting, having started her own business in 2011. Experience from a career spanning the private and public sectors in Australia and international projects in Timor-Leste provide a foundation for a successful organisation making a difference. Bold and Brave is an organisation with a range of services, tools and workshops designed to discover and action the power within individuals, organisations and institutions to perform to achieve the results they aspire to – in a sustainable, inclusive and responsible way.Transitioning from average results, doing ok and feeling ok to being extraordinary, achieving extraordinary results. Monica is a Certified Master Practitioner of Neuro-Linguistic Programming with a diverse range of skills and experience underpinned by a Masters in Business Administration. Monica is currently Secretary of the Genetic Support Network of Victoria Committee of Management, an international presenter in the area of inclusion and has recently supported the Australian Team as an elite performance mindset coach at the World Dwarf Games. 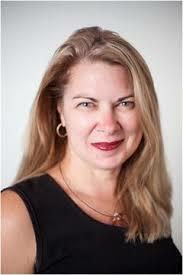 Monica is committed to excellence, exploring and implementing pathways that will achieve and deliver it. James is a Registered Architect and Associate at the architectural practice of ClarkeHopkinsClarke. 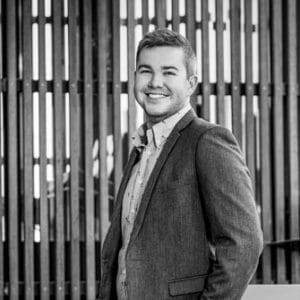 Having completed a Masters of Architecture and with over 5 years’ experience working on a diverse range of projects, James has developed his main area of expertise in the design and delivery of facilities for the Aged Care sector. He utilises a strong capability for clear and direct communication and effective co-ordination of project stakeholders to effectively deliver a project on time and within the required budget. His passionate, collaborative and personable approach with clients, stakeholders and consultant teams alike instigates creative design thinking and ensures the development of project outcomes that address the aspirations of all involved. He is committed to delivering projects that support the local community in Balibo through his association with the Balibo House Trust that began with the Balibo Fort Hotel project. Sara is a tourism marketing specialist with experience in the corporate, government and NGO sectors. She has held positions in Timor-Leste since 2011, working with the President’s Office, Ministry of Tourism and now as a consultant for the Asia Foundation in Dili. Her PhD research developed a destination marketing strategy for Timor-Leste, which has seen Sara work alongside the Timorese government to put key findings into practice and develop a new destination brand for the nation. Her research interests include the marketing of island destinations, post-conflict tourism and bridging the gap between marketing theory and practice. In both 2013 and 2015 Sara organised conferences held jointly by Victoria University, Melbourne, and the National University of Timor-Leste (UNTL), Dili, to bring world-class research to Timor-Leste and inform key development challenges. Sara is a guest lecturer at Dili Institute of Technology and Monash University in Melbourne. 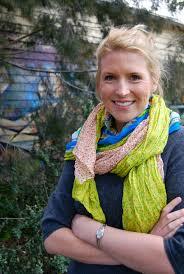 Sara’s involvement with the Balibo House Trust began in 2013 when she supported the launch of the Australia Flag House. She is passionate about growing sustainable tourism to Timor-Leste to support the livelihoods of the Timorese people.